A victim impact report will be handed in at court. The co-accused of former deputy minister of higher education and training, Mduduzi Manana are expected back in the Randburg Magistrate’s Court on Thursday, on charges relating to assault. The charges against Thulani Mdaka and Cyril Madonsela relate to the assault of three women at Cubana in Fourways on August 6. Manana resigned his job after admitting to beating up a woman at a night spot in Fourways. The incident in which three women were attacked at Cubana, a nightclub in Fourways, happend on a weekend in August during the early hours. 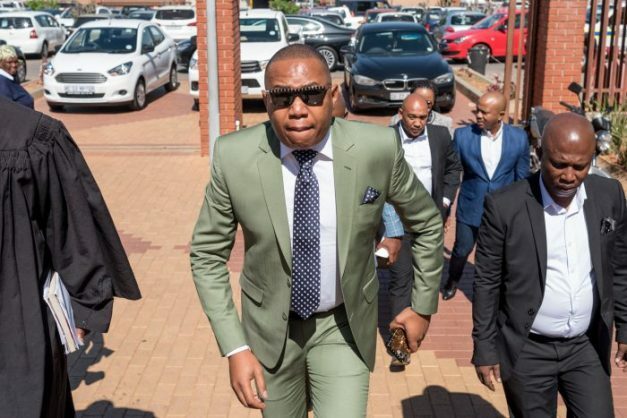 A video clip of Manana and his buddies beating up the women went viral on social media resulting in a public outcry and calls for the deputy minister’s resignation. Madonsela, 35, and Mdaka, 30, are charged on two counts of assault with intent to do grievous bodily harm for assaulting Mandisa Duma, Thina Mopipa and Noluthando Mahlaba. Both men pleaded guilty on October 6. As a result of their plea, Madonsela and Mdaka were found guilty and the matter was postponed for pre-sentencing. On November 13, the same court sentenced Manana, to 12 months imprisonment or to pay a fine of R100,000. Manana was convicted of three counts of assault with intent to do grievous bodily harm after pleading guilty to the charges.